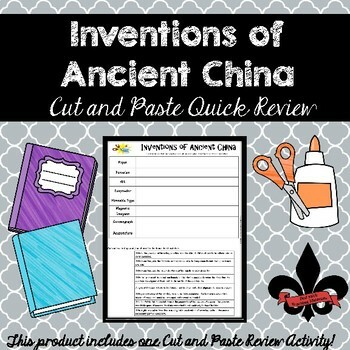 Have your students review the different Inventions of Ancient China with this NO PREP cut and paste activity. Use this as an entry in an interactive notebook or as a stand alone review activity. 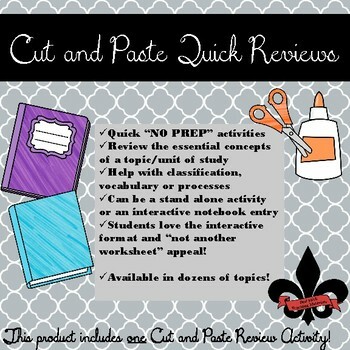 If you want access to all current and future cut and paste quick reviews, you may be interested in my growing bundle of cut and paste activities. 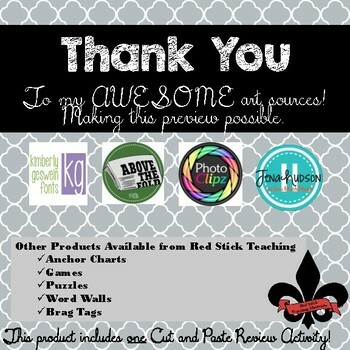 This gives you all things cut and paste from my TPT store and access tp all future Cut and Paste activities. This cut and paste activity is also included in my Ultimate Ancient World History Bundle.